Who doesn't like being introduced to new stores? can't say I know many that do. Today I found a store that I hadn't seen before, called ABD. 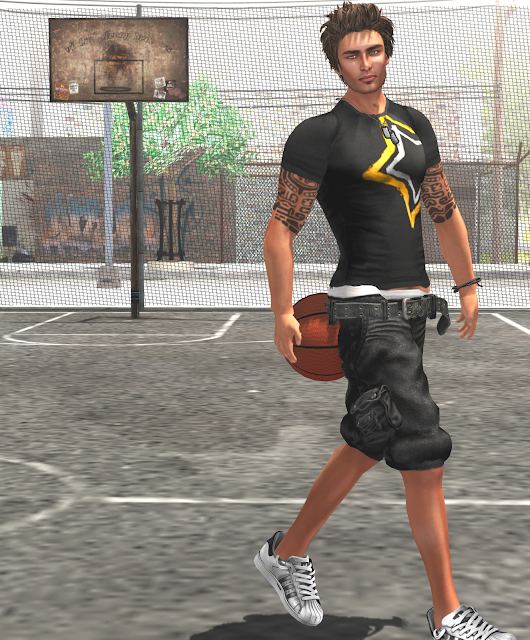 The design on the shirt that I am wearing, is rather unique to second life. I have been looking for this style of t shirt for quite some time.Very basic but I personally love the star design, on just about anything. You can get this shirt in several different colors on the marketplace.